In the last blog post, we taught you how to burn more fat and start cleaning out your kitchen by swapping out quinoa for rice. Again, this isn’t going to magically melt fat off your body. But if you make a bunch of “little” changes like this in your kitchen, it can add up to make a big difference in your results. Today, we’re going to continue helping you clean-up your kitchen so you can burn more fat and stay on track with your post summer fat loss plan. One of the main staples so many people turn to for convenience is bread. Let’s face it. Bread tastes good and it’s filling. It’s also a quick and easy fix when you’re in a hurry. It’s pretty simple to pile up a bunch of lean healthy (non-processed) lunch meat and veggies between two pieces of bread and head out the door. The problem. White bread is made from refined white flour so it spikes insulin (which leads to fat storage) and is loaded with hidden fillers. Plus, all the fiber (the good stuff) has been removed. It doesn’t stop there. Did you know that one bagel usually contains about 4 servings of bread? One bagel. Yikes! 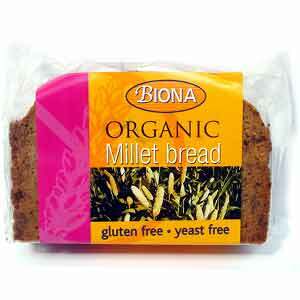 A quick review: White bread contains a large proportion of high GI (glycemic index) carbohydrates. These carbohydrates cause sugars to be released quickly into the bloodstream. This causes a rapid rise in blood sugar levels which triggers a similarly rapid release of the body’s own sugar regulating hormone, insulin. Translation: You’ll store more fat and kill your energy after you consume these types of bread. It’s not just the white stuff that is bad for you. Even most wheat breads contain High Fructose Corn Syrup and other nasty ingredients just like the white stuff. What if you could swap out white breads, wheat breads and all bread products for healthier alternatives and STILL burn fat? Well you can. 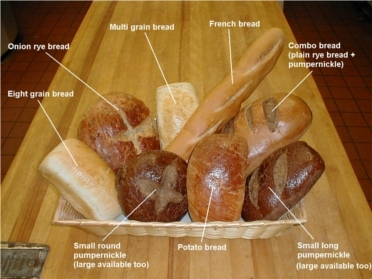 Here are three alternative ingredients to normal bread choices that you can enjoy. 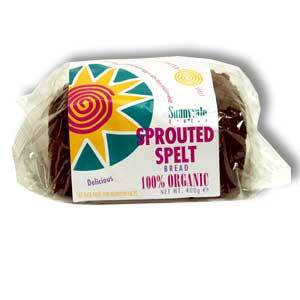 Organic, sprouted, 100% whole grain, flourless bread is loaded with fiber and even contains complete protein. This means it’s WAY better than other bread choices. Sprouted grains have increased vitamin and nutrient content because the seed is first sprouted, making it alive and active in its growth process. Some of these sprouted grain breads take on a very sweet taste because sprouting changes some starches in grains to sugars. Plus, the bread is moist and is made without yeast. 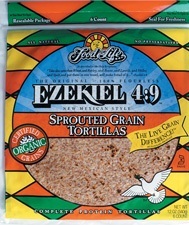 They even have tortillas, cereals, and even healthy English muffins made from sprouted grain. Millet is tasty, with a mildly sweet, nut-like flavor and contains a variety of beneficial nutrients. It is nearly 15% protein, contains high amounts of fiber, B-complex vitamins including niacin, thiamin, and riboflavin, the essential amino acid methionine, lecithin, and some vitamin E.
It is particularly high in the minerals iron, magnesium, phosphorous, and potassium too. The seeds are also known to be rich in phytochemicals, including Phytic acid, which is believed to lower cholesterol, and Phytate, which is associated with reduced cancer risk. Millet is one of the oldest foods known to humans. It has been used in Africa and India as a staple food for thousands of years. It was actually grown as early as 2700 BC in China where it was the prevalent grain before rice became the dominant staple. Spelt has been grown – under the radar – in Europe for over 300 years, but it has recently regained popularity as a dietary grain due to its nutty flavor, high protein and dense nutrition content. Spelt contains more protein than wheat, and the protein in spelt is easier to digest. This means that some people who are allergic to wheat may be able to tolerate spelt. Important: Spelt does contain gluten, just like wheat, so spelt is not suitable for a gluten-free diet. Spelt flour can replace whole-wheat flour or whole grain flour in recipes for breads. Spelt is becoming better known as a healthy grain, so spelt products like breads are easy to find in most health food stores. There you have it. Three cool bread alternatives you can use right now to enjoy convenience and still stay on the fat burning track. No more worrying about the hidden negative health effects of over-the-counter breads. This also cuts through the misleading marketing that makes you think whole wheat bread is healthy. It’s not. Would you like to apply this cool food swapping technique in every area of your kitchen and your nutrition plan? Watch this video from our friend Isabel where she shares several more of these unique fat burning food tricks. If you enjoyed today’s article, make sure you click the “like” button below so we can share the love. I have a question about breads. I used to bake whole wheat bread from scratch. The first step wase to mill or grind the wheat kernels with an electric grinder, then the bread was mixed immediately. The only other ingredients used were, water, yeast, a little salt, a couple of Tb honey and sometimes a small about of gluten. This would make 5 medium loaves of bread. I do have a Bosch mixer that will knead the dough for me and the whole process for five loaves, grind to out of oven is around 1 1/2 hours. Now for question. How healthy would you rate this type of bread? hello there I found your article and think it’s wonderful ! I love to make homemade breads are there any other flours that are as healthy that I can cook with what about oat flour? Hello this was very helpful in my search for a healthier bread etc. My question is you have some breads pictured above (in the basket) pumpernickle etc. Are you saying these breads are ok to eat and still burn fat?